How To Update iOS ( iPhone, iPad, or iPod touch ). 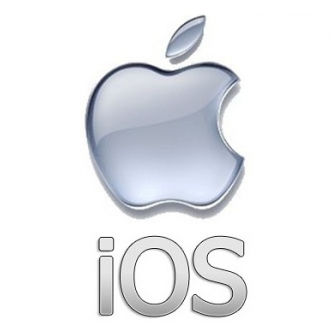 Periodically, Apple release an update of the operating system called iOS for iPad, iPhone and iPod Touch, patches that fix bugs, improve and offer new features. To update the operating system on your iOS device, you have several choices. To either do it wirelessly, or you can use the computer. If you use the latter, you need to update via Apple's iTunes application. We guide you through both methods. The first and most important thing you should do is backup. Not because it often happens something wrong during the update process, but because it's smart to be better safe than sorry. Backup you can either do via iCloud or iTunes. In our opinion it is easiest to choose iCloud, because you do not use the cord during the update process. To back up via iCloud , go to the Settings app, tap iCloud , and then save and copy .Turn the switch iCloud backup, and press Backup to initiate the process. It's best to use iCloud backup is that you have to worry about having to do it yourself. This will happen automatically when your iOS device is plugged in, locked and connected to Wi-Fi. Note however that iCloud only offers five gigabytes of free storage. If you have apps that take up much storage space or possibly a lot of pictures, video and music on your phone, you must either purchase more storage space on iCloud, or update via iTunes. To backup through iTunes, connect your iOS device to your computer via cable, wait until it shows up in the left sidebar, then right click and select Backup. This will take some time, depending on how much content you have stored. To update your iOS device via wireless is very simple, as long as you have at least 50 percent battery life left on your device, or any access charges. Updating: Go to the Settings app from your home screen. Tap General and then Update. If there is an update available, you will now be prompted to download it and update your device. Press Install to start. Note that the download can often be a few tens of megabytes, and that we therefore advise you to do this when connected to a wireless network. Process will take a few minutes and requires a reboot. When you are done everything should be as before, with the exception of any new features. You will not lose any data when you update. This is the "old" way of doing it. The first thing to do is connect your iOS device to your PC or Mac via the included charging cable. , you need the latest version of iTunes installed on your computer. Procedure for the update is as follows: Connect iPhone to your computer and open iTunes. Under the Overview, click the Check for Updates.